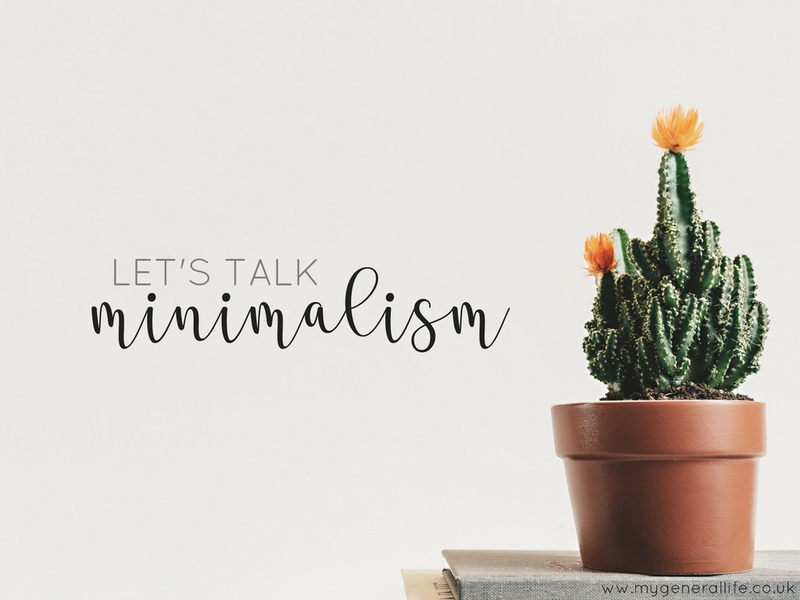 Is it just me, or is minimalism becoming more popular? Or maybe it's just one of those scenarios whereby because you're interested in something you take more notice of it and see it popping up everywhere. Regardless, minimalism is something that intrigues me. The idea of being content with owning the bare minimum seems somewhat freeing, liberating and empowering. As time goes by I am becoming more and more aware of consumerism and all the stuff that is thrown in our faces on a daily basis. Stuff that we don't really need, but you know that ad campaign is just so convincing that you might just have to give it a try because you never know, it might just change your life. I know this feeling too well. I see something I like the look of and I feel this need creeping up inside of me, it's total FOMO and it drives this desire to have. But, why do we need to have? We live in a society of excess. Of constant new and improved everything. And as corny as it sounds, the older I get the more I want to move away from that. To go against that urge to need and consume and to just be content with what I have without the need for more. 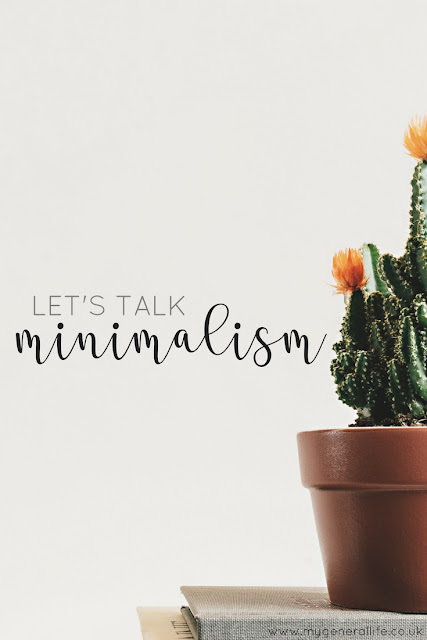 A recent watch of Minimalism: A Documentary About The Important Things on Netflix, along with finding more and more minimalist bloggers and Youtubers for inspiration (such as The Minimalists, Jenny Mustard (who's apartment is total Pinterest goals if you ask me), Vegan Family TV, The Fairly Local Vegan and Soph's Choices to name but a few!) has me all inspired to put thoughts into action. 1. Downsize my belongings: I don't think I have a lot of what one might consider "tat", however, I know I definitely have things that I don't really need and have for the sake of it, just in case. So I'm going to dig out The life Changing Magic of Tidying, find the things that really spark joy and aim to get rid of the rest. And by get rid of I mean recycle, donate or sell - I don't like waste so I'm trying to avoid just binning things. 2. Try out Project 333: I think I'll do a separate blog post on this, but this is basically downsizing your wardrobe to just 33 items that you wear over 3 months that you can mix and match and really enjoy. 3. Create more space: I'm fortunate to have a lovely home. Honestly it's probably far more space that we actually need, but it doesn't feel that way because of all the stuff we have crammed into ever nook and cranny. I want my home to feel light, airy and clutter free. A tall ask for someone who isn't overly keen on tidying, but I feel like if I had less stuff everything would have a home and there would be less to tidy - what's not to love about that? 4. Think before buying: I know this is going to be a challenge. I'm a bit of an impulse buyer and I really want to reign that in. More so because I want to try my hardest to save money and spending it on unnecessary things isn't going to help that. So I'm aiming to be more mindful of what I buy and why I'm buying it. 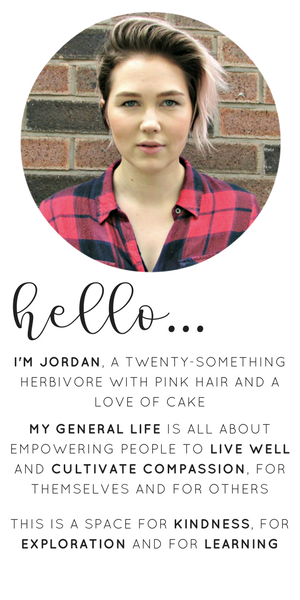 I'm also going to make the effort to invest more in quality, ethically sourced/produced items that will last e.g. clothing, rather than "fast fashion" that won't last more than a few months.